Welcome to the November edition of MEA Magazine, providing you the latest news, deals and developments across the Middle East and Africa. In recent news, on the 2nd November, Riverbed Technologies the promotion of Elie Dib to the position of Regional Vice President for Middle East, Turkey and North Africa (METNA) in recognition of his leadership of the regional sales team. 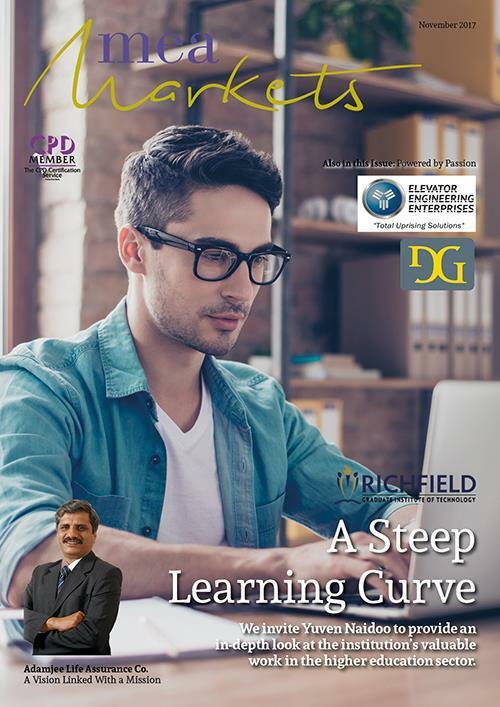 Gracing the covers of this month’s edition, is Richfield Graduate Institute of Technology (Pty) Ltd, previously PC Training and Business College, who commenced operations in 1998 in Tongaat as a Computer Training Centre. It established branches in the various provinces and today has a national footprint of over 70 sites. We invited Yuven Naidoo to provide an in-depth look at the institution’s valuable work in the higher education sector. Elsewhere in this issue, LC & Partners Engineering Consultants is a multidisciplinary Construction Project Management and Integrated Engineering consultancy firm, operating on an international basis. We spoke to the Business Development team at the company as we ask them about being named Best Innovative Project Management Consultant 2017. Here at MEA Markets, we hope that you enjoy reading this informative edition and look forward to hearing from you.